We have seen many of the 600 Lbs star who has gone through a phase from obesity and trying to lead a normal life! But with the weight, stars has brought in fame for them! Their weight loss has inspired many of them! But this star is creating a history on show by loosing most weight compared to any of them! Who's the star? Read out her story and look over admire her before and after photos! This 600 Lbs star is Sarah Neely! This 600 Lb star who is just 25 years old weighed 624 pounds! She told on the camera that, “My mom tells me I would overeat from my earliest age. And I think it started when I was around three.” The reason of overeating was due to her mother drifting from one relationship to another! Dr. Nowarzardan at the savior! Dr. Nowarzardan told that she has the body of twice of her age! Well, for the surgery need to lose 30 pounds but at the first, she failed and eventually gained 11 pounds! After repetitive attempts, she lost 64 pounds! If you compare her three siblings to her, she was the only overweight person in the family! Sarah’s childhood was quite a pain! She revealed on the camera that her mother was a drug addict. She hopped in different relationships and that wrecked her nerves. Sarah told to the sources that, “I was so depressed at that point, I just didn’t stop eating.” And that ultimately led to the gain of 100 pounds in three months! After her surgery, she almost lost 249 pounds that made her weight bring on to 393 pounds! Well, she was determined that she kept the nutritional expert on her side and worked hard on her body! 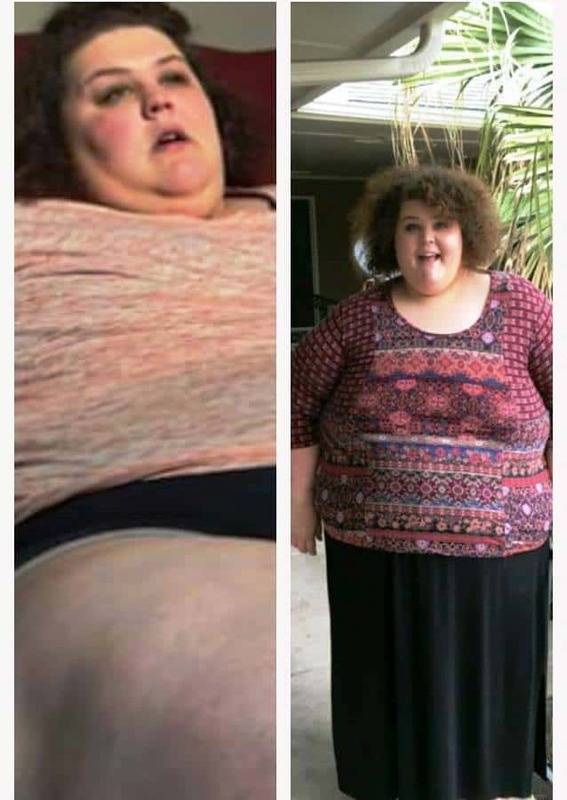 In the recent episode, Sarah told that she almost lost her half of the weight! Let’s look over her transformation photos! Fans showered the love in her comment box. One of the fans comment reads “Just watched your TLC episode. Soooo proud of you! Thank you for being so inspiring and not giving up even when it’s hard 😊😊”. The another wrote, “Loved your show. So proud of all you have accomplished. It’s so admirable. You have owned this healthy lifestyle and the results are so incredible! 👏🏼👏🏼” But it’s not her ultimate transformation! Sarah Neeley completely looks unrecognizable and stunning! She has crashed the gate of 190 pounds goal! Well, you can witness her transformation! Such an inspiration! None of the stars didn’t come out with such incredible transformation! Hilarious Teachers Who Would Be Better Off Being Comedians!